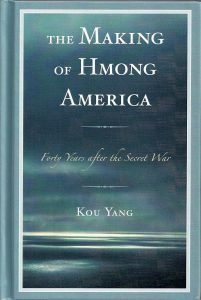 ‘The Making of Hmong America: Forty Years after the Secret War’, is the most recent book from Kou Yang, a professor emeritus of ethnic studies at California State University, Stanislaus. The book examines the Hmong community’s role in the American Secret War in Laos through the 1960s and into the mid 1970s, followed by the refugee exodus from Laos to the refugee camps in Thailand, and the challenges to find third countries to take Hmong refugees including France, Australia, Canada and the United States. The book analyzes the process of acculturation into American society since the 1970s, the reception by the American people and government and the creation of Hmong enclaves throughout the country. 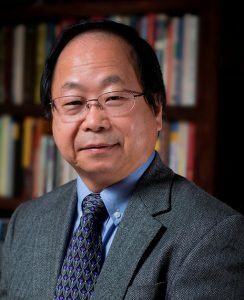 Kou Yang said writing “The Making of Hmong America” was important to him and that believes the book is very important for the Hmong people and to the public in general for addressing the many issues relevant to the Hmong experience both past to the present in a unique way. The success stories of many Hmong Americans are also important to tell, whether art or high-tech, academia, military, law and politics, he said. “It is my belief that the past cannot be changed, but we can learn from the past to understand the present and build a better future,” Yang said. The story starts with doubts that the highlander refugees from Laos were suitable for resettlement into the United States. Kou Yang details the adaptation of Hmong Americans to their new lives in the United States, facing discrimination and prejudice, and the advancement of Hmong Americans over the past 40 years. As a relatively small uprooted refugee community the Hmong population grew to more than 300,000 by the year 2015; spreading to all 50 states while becoming a diverse and complex American ethnic community. To get better insight into their diversity, complexity, and adaptation to different localities, Kou Yang uses the Hmong communities in Montana, Fresno and Denver as case studies. The progress of Hmong Americans over the past four decades is highlighted with a list of many achievements in education, high-tech, academia, political participation, the military and other fields. The book provides insight to the unique challenges of a complex and diverse Hmong experience.